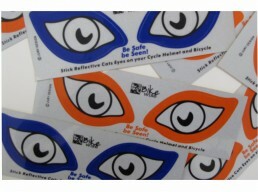 Reflective ‘Cats Eyes’ were an initiative by Cycle Action Tauranga, Police, and the Tauranga Joint Road Safety Committee. This group came to us with an idea; to produce a reflective sticker that looked like a cat’s eye. 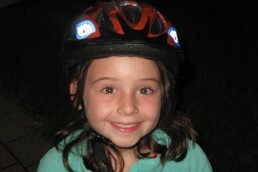 Specifically, a sticker that could be stuck on cycle helmets for increased visibility from all sides. 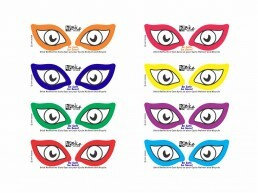 We responded with the design you see opposite. This initiative was later endorsed by BikeWise NZ. We have almost lost count of how many of these popular curious cats eyes we have printed – our last estimate was around 150,000. Aside from the obvious cycle safety benefits, we have also been told that magpies won’t go near them – great for cyclists in magpie prone areas!